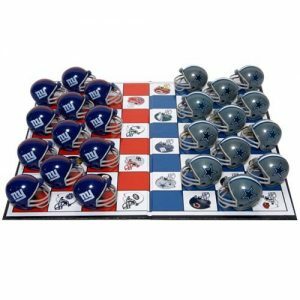 The 2012 – 2013 NFL Season begins tonight when the Cowboys visit the Giants in an NFC East match up that will quickly tell fans where these two teams stand. The Giants are coming off an amazing late season run that culminated as Super Bowl Champions, their fans want to know if they can repeat. There are a bunch of things happening in the NFL this week, the biggest of which is that all games will feature replacement officials as the regular NFL officials are locked in a labor dispute. The real officials are hoping mistakes are made by the replacements which will help them gain leverage in their negotiations. Hopefully the officiating is transparent and fans don’t even realize they are replacement referee’s. Most people don’t know it yet but their has been a significant schedule change for the late games this year. Instead of 4:00 pm and 4:15 pm EST staggered start of the Sunday afternoon games, all games will now begin at 4:25 pm. This change will allow the early games to finish up completely and recaps can be covered by local TV and Radio prior to the start of the next set of games. The biggest question all NFL fans are thinking about this week is; What two teams will make into the Super Bowl to be held in New Orleans, LA at the Mercedes-Benz Superdome on Sunday, February 3, 2013? The Las Vegas Odds to Win the Super Bowl show a game between the Green Bay Packers and the Denver Broncos. My prediction is the Philadelphia Eagles vs New England Patriots a rematch from the 2006 Super Bowl. If you are planning a trip to the big game, take a look at the all inclusive Super Bowl packages here.